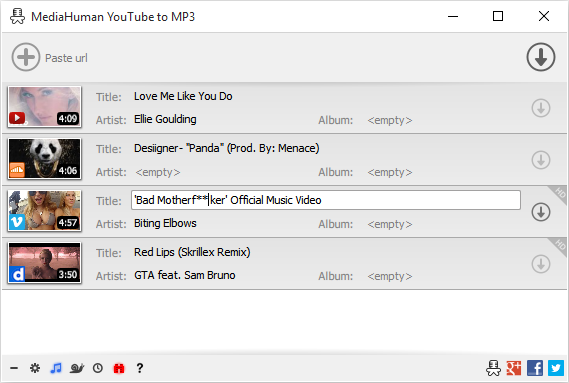 You like to listen to music on YouTube or SoundCloud and want to save it for offline playing. Or you want to download soundtrack of a new movie. Then we recommend you to try out this software developed specifically for this purpose. The program tracks the content of the system clipboard. It means that you can easily add a video clip without switching from your favorite browser. Just copy an URL into the clipboard and it will be added to the download queue. In the preferences of the application you can select an option to add downloaded tracks into iTunes automatically. You can also specify iTunes playlist, where the converted track should be added. The program detects audio track in YouTube video clip and downloads it, skipping the video part. As a result download speed increases dramatically, especially on HD-quality content. Application automatically detects artist name and tracks title of the video and saves it in the downloaded file. But at the same time, you can easily change them to whatever you want. 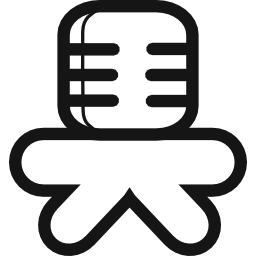 You can save audio tracks in original quality without any conversion. It means that there will be no loss of quality and greatly reduces the downloading time. There is a great amount of music on YouTube. You can always find the one you like there. And YouTube to MP3 Converter allows you to save it on your computer for free. Just find the track you like and download it in the quality you need. The program also supports Vevo.com, Vimeo, DailyMotion, Soundcloud, Bandcamp & Hype Machine, so you can download music as easy as from YouTube. The full support of Drag’n’Drop. It means, that you can drag the URL of video you like and drop it on the application window or on the dock icon.